Chennai : The former Tamil Nadu chief minister J Jayalalithaa died on December 5, 2016 after spending 75 days at Apollo Hospital in Chennai. Almost two years after her death, a source confirmed that her treatment at the hospital in 2016 cost Rs. 6.85 crore. And, now the bill has gone viral on social media. According to the one-page summary that has a detailed break-up, "food and beverage services" cost Rs 1.17 crore. 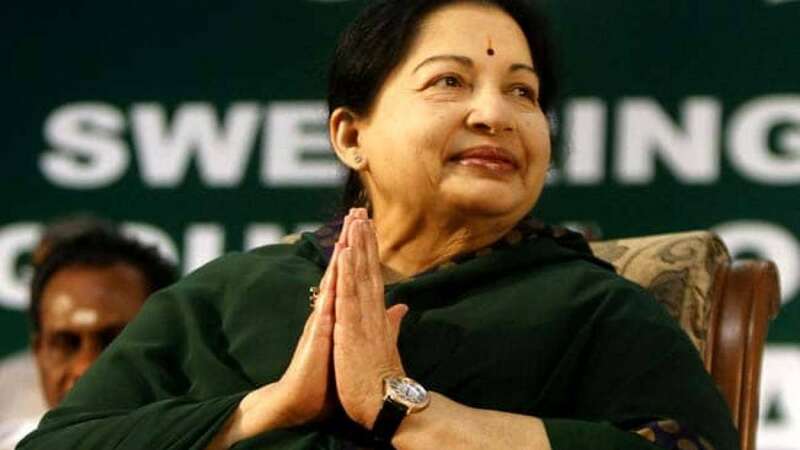 The bill was in the documents submitted recently to a panel investigating the circumstances leading to Jayalalithaa's death. To surprise all, a legal counsel for the Chennai hospital confirms that the food bill included a lot of visitors for the former chief minister. The ruling AIADMK had claimed to have paid Rs. 6 crore on June 15, 2017, months after Jayalalithaa's death. But, the bill shows that an amount of Rs. 44.56 lakh is yet left to be paid. Though the Apollo hospital received an amount of Rs. 41.13 lakh on October 13, 2016, there is no mention of who made that payment. When media asked about the bill being leaked, the Justice A Arumughaswamy Commission of Inquiry and a legal counsel for the hospital in the panel refused their role in this case. The bill shows that it’s genuine and was submitted to the panel on November 27. "The bill summary is not a complete factual reflection of all the details because the details were produced in more than 200 pages. We are surprised and shocked that a confidential document, which was submitted to the commission on November 27, is out in the open," hospital counsel Maimoona Badsha told Press Trust of India. The hospital bill break-up clearly shows that Rs 71 lakh has been taken as "consultation fee". UK-based doctor Richard Beale was paid Rs. 92 lakh and a Singapore-based hospital received Rs. 1.29 crore for professional charges. The room rent was Rs. 1.24 crore, but includes several rooms used by the politician's attendants. To inform, Jayalalithaa was admitted to hospital on September 22, 2016 and she took her last breathe on December 5, the same year.